It’s like a virtual fridge. | Blog-O! It’s like a virtual fridge. 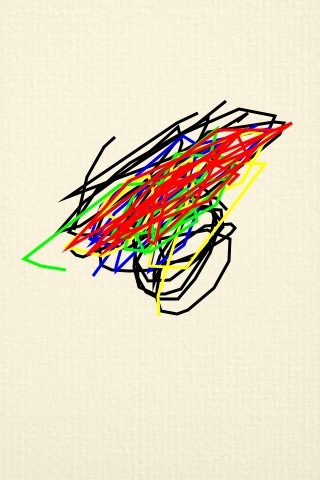 There’s a program called Sketches on my iTouch that Delphine likes to play with before she goes to sleep. I recently found out that I could email the drawings to myself, and so here are Delphine’s drawings from today. 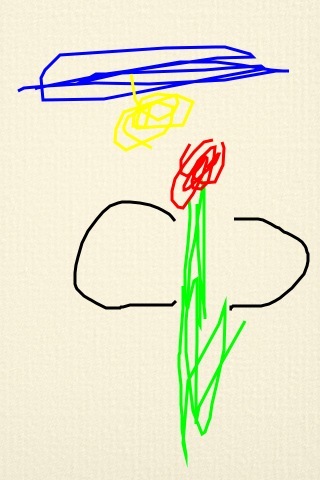 The one on the left is obviously a flower, with the sun in the sky. The one on the right is, uh, just pretty with all the colours mixed together, I think.